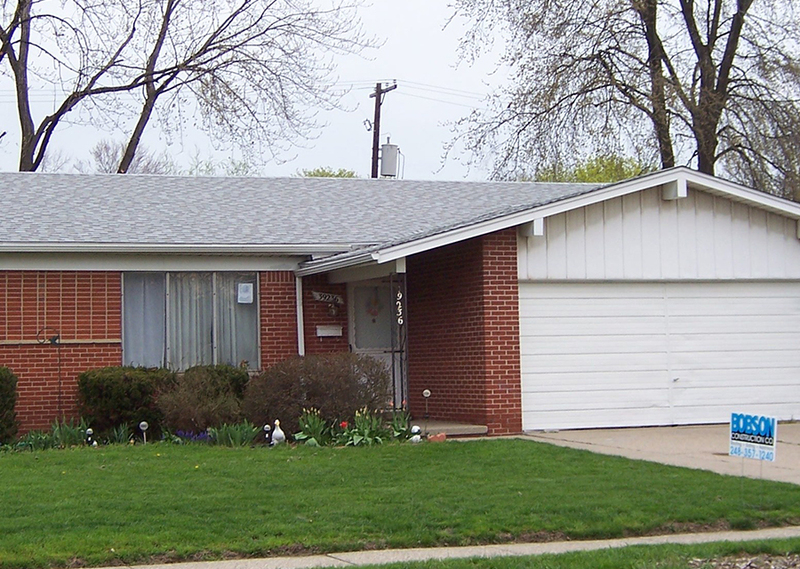 Bobson Construction Company has been installing residential roofing since 1954, making us one of the most experienced roofing contractors in Metro Detroit. We carry most major brands of architectural roofing shingles, including Tamko, GAF, Certainteed, and more. 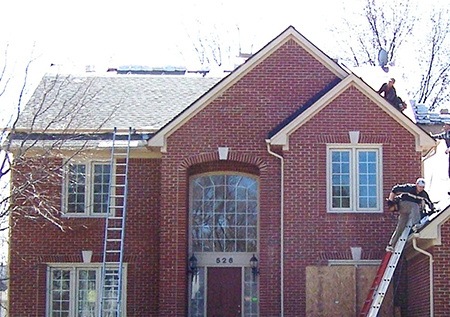 We go the extra mile and ensure that every roof we install meets or exceeds all local building code requirements. 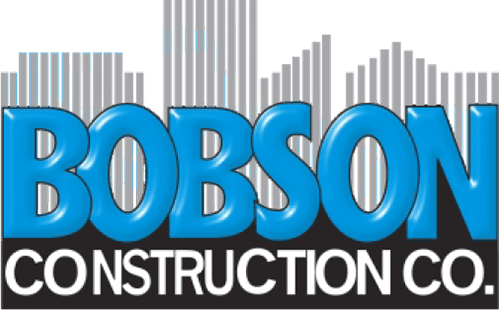 Southfield-based contractor Bobson pulls the proper building permits when required, no matter where you reside. 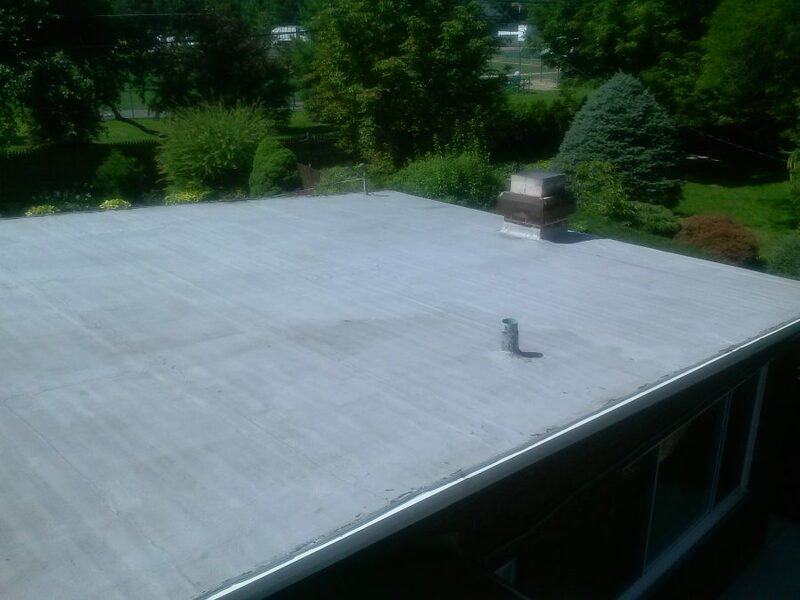 Some cities require open roof inspections during the installation process so that the building inspector can verify that any bad wood is being replaced and that the ice and water shield is properly installed. Bobson always schedules these inspections when required. 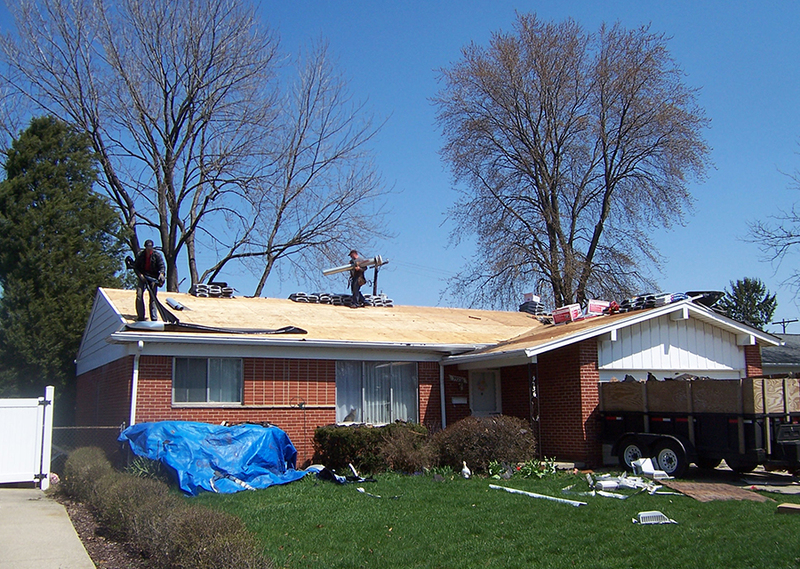 During the tear-off we bring out a small trailer on wheels to remove the old shingles with minimal mess or disruption. 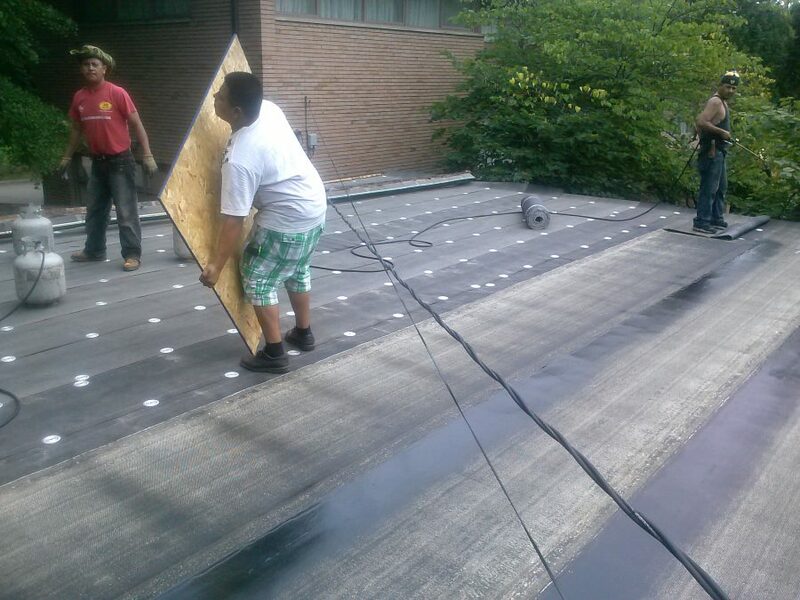 Unlike some of our competitors, Bobson's installers are very skilled in carpentry work; they will repair any bad wood decking or rafters, install proper roof ventilation, install ice and water shield to code, and install felt underlayment and aluminum drip edge to code. 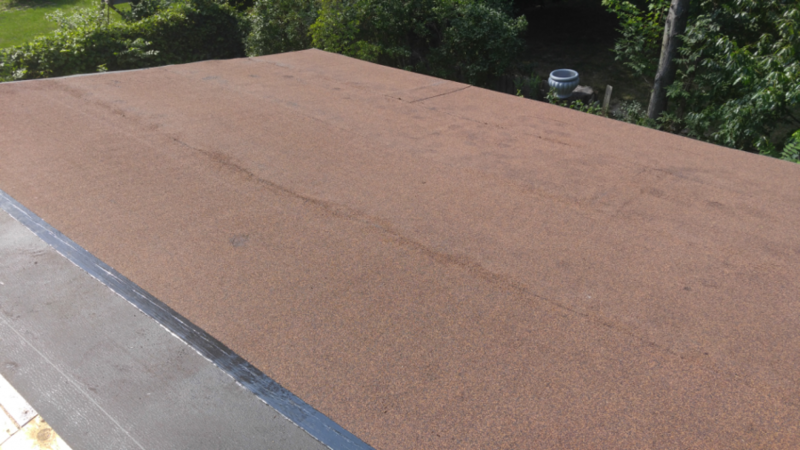 Then our expert shingle installers will install your choice of shingle brand, style, and color. Most shingled roofing projects are completed in one day. Larger jobs may take a few days to complete. Bobson offers a full selection of vinyl siding and aluminum trim to update the exterior of your home. Let our expert designers suggest colors and accents such as wood shake or stone siding that will improve the curb appeal of your home. Residential siding comes in a wide variety of different styles and colors in good, better, and best quality materials to suit your taste and budget. You can choose traditional panels or dutch lap panels in woodgrain or smooth finishes. 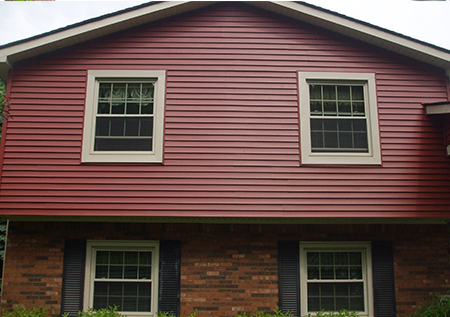 Board and batten style siding offers an attractive vertical appearance. 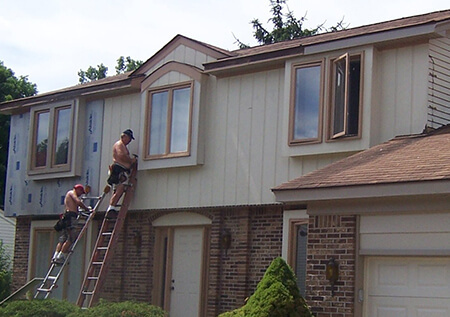 Our expert installers will install the job right over foam backer board to provide insulation and minimize wall imperfections, and our trim installers will install your aluminum trim in a neat and professional manner. Vinyl siding offers a wood-like appearance without the costly maintenance and repairs that other types of siding may require. Vinyl siding never needs to be painted and it will look beautiful for decades to come. 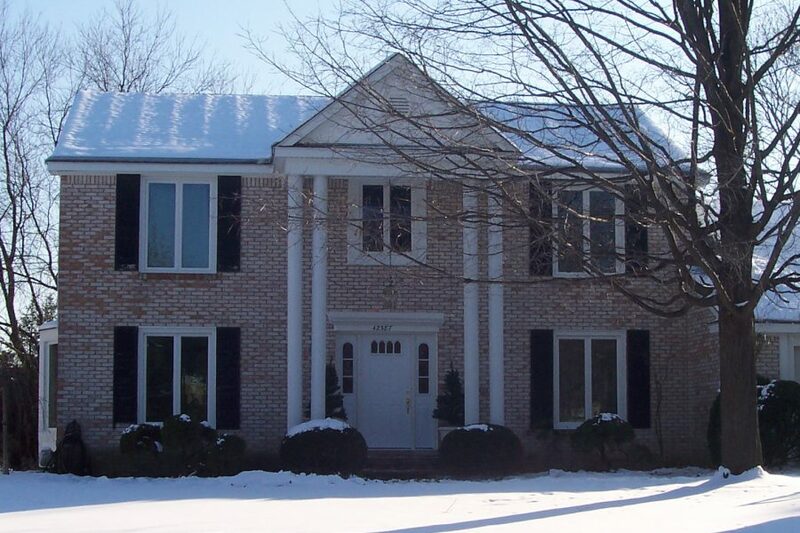 Bobson also offers a full line of accessories including shutters, upgraded soffit, trim, gutters, and gutter guards. Bobson installs seamless aluminum gutters with optional leaf protection. 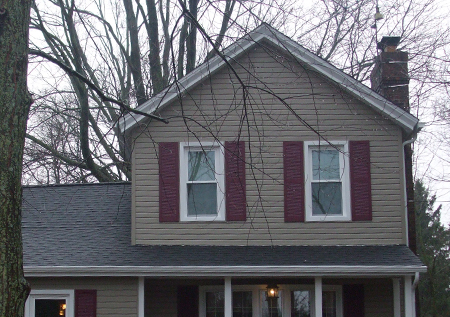 Our gutters come in a variety of colors to blend with your siding and trim. New windows and doors can greatly improve the overall appearance of your home. And, new windows and doors may qualify for energy tax credits! When it comes to choosing new windows and doors, choose Bobson! Bobson offers several entry and patio door options from steel to vinyl to fiberglass. Let our designers help to select the right door styles for your home and budget. 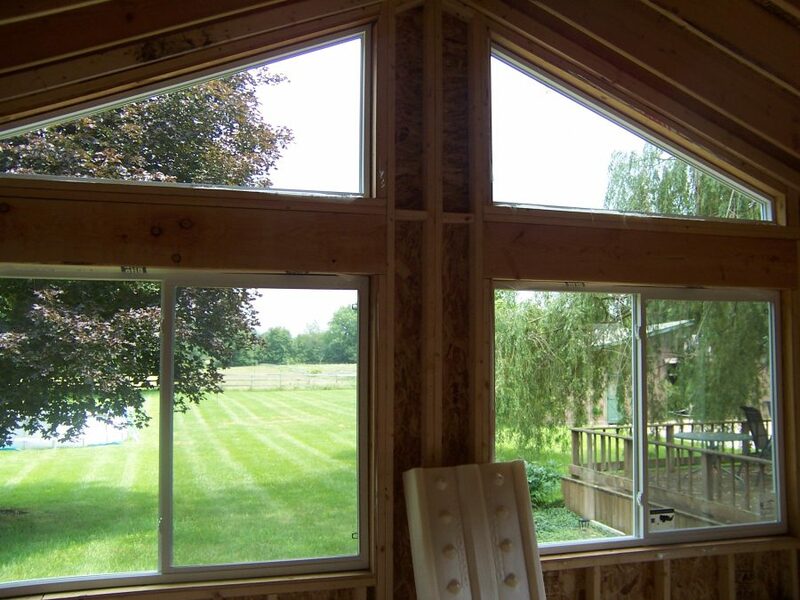 Bobson offers several options for new replacement windows from leading manufacturers such as Alside, Genex, Andersen, Pella, and we offer custom made wood replacement windows with aluminum cladding that are manufactured locally in Michigan. Different options for glass, including double and triple pane glazing to achieve maximum energy savings on your new windows. Break-resistant glass is available for extra security and peace of mind. Bobson Construction’s unique and custom-designed decks and porches provide homeowners with a one-of-a-kind look designed to fit your lifestyle and budget. We design each project individually and make the end result aesthetic and functional with consideration for the architectural detail of your home. Our decks and porches are constructed using a variety of material options to create an attractive outdoor living area that will stand the test of time and add solid value to your home. 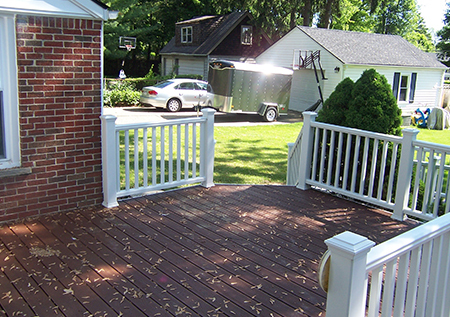 Bobson offers treated wood decking, cedar decking, composite wood decking, and PVC decking . 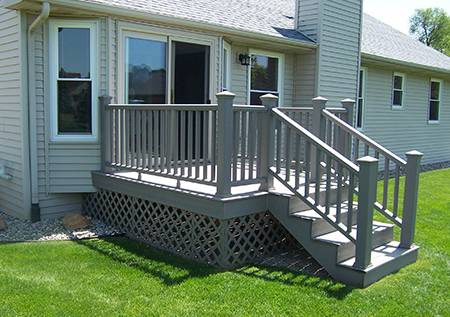 Let our designers recommend the best type of decking for your needs. 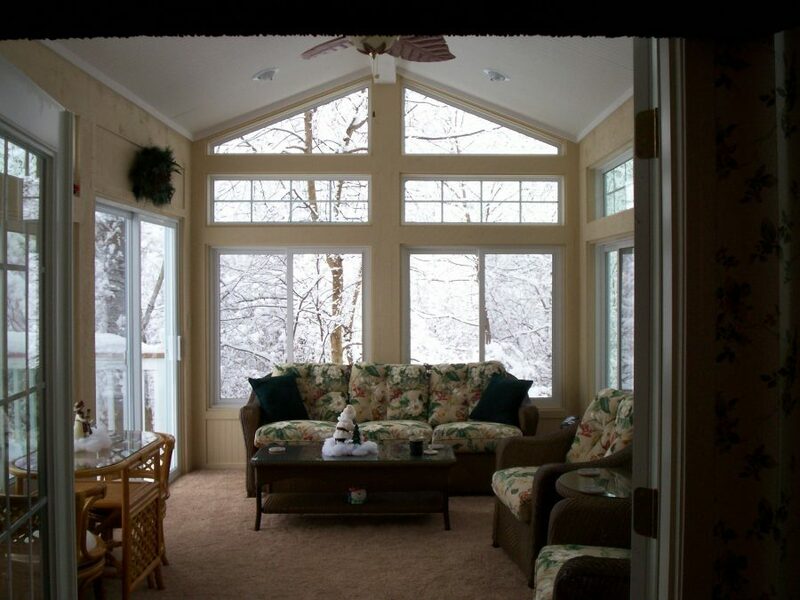 Our porches options are wood, composite, or concrete. We offer plain or decorative concrete block foundations with plain, dyed, or stamped concrete caps. We also offer brick veneer and precast concrete steps. 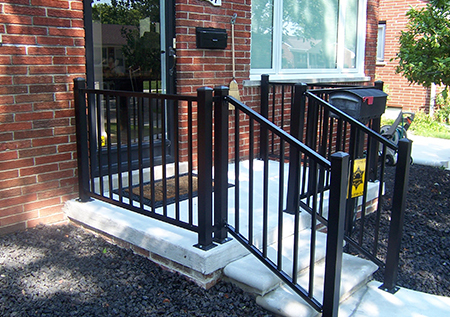 If rails are needed then we would be happy to install maintenance-free aluminum rails.